The House today took up the Save the Internet Act (HR 1644), first adopting an amendment in the nature of a substitute (AINS) that the Energy and Commerce Committee had approved last week, and then approving four more-targeted amendments, including two offered by Republicans. The House ended legislative business for the day without completing consideration of the bill, and with pending roll-call votes on two amendments. It is scheduled to reconvene for legislative business at 9 a.m. tomorrow. The vote on the rule for considering the Save the Internet Act, which also dealt with consideration of other legislation, was 219-201, with several Democratic defections. The Save the Internet Act would rescind the FCC’s 2017 restoring Internet freedom (RIF) order and restore the agency’s 2015 open Internet order. 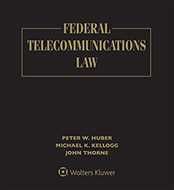 The AINS added language stating that any decisions to forbear from provisions of the Communications Act or an FCC regulation that were made in the 2015 order would be permanent. The AINS also added a one-year exemption from the 2015 order’s enhanced transparency provision for broadband Internet access service providers with 100,000 or fewer subscribers, and would require the FCC to report to Congress within 180 days on whether it recommends that the exemption be made permanent. Under the rule governing consideration of HR 1644, only two Republican amendments were in order to be offered on the House floor. The House also approved on voice vote an amendment offered by Rep. Bob Latta (R., Ohio) that would require the FCC within three days of enactment to submit a list of the 27 provisions of Title II of the Communications Act and the 700 FCC rules and regulation that the 2015 order forbore from. Although Democrats were not opposed to the amendment, House communications and technology subcommittee Chairman Mike Doyle (D., Pa.), the sponsor of the Save the Internet Act, said he was surprised that Rep. Walden could not simply call the FCC and get the list. “That’s your good friend [FCC Chairman Ajit Pai] over there. I would think a phone call would get you the list,” he said. The House also approved on voice vote two amendments offered by Democrats Maxine Waters of California and Katie Porter of California. Rep. Waters’s amendment would direct GAO to report within one year of enactment on the importance of the open Internet rules to vulnerable communities, including ethnic and racial minorities; socioeconomically disadvantaged groups; rural populations; individuals with disabilities; and the elderly. Rep. Latta that Republicans did not oppose the amendment, but he said he hoped that his colleagues would consider that Title II regulation might not be best way to address these populations. Rep. Doyle requested roll-call votes on two amendments offered by Democrats Antonio Delgado of New York and Jennifer Wexton of Virginia, and further action on those amendments was postponed. Republicans did not oppose the Delgado amendment. During general debate on the bill, Republicans repeated arguments they had made at the Commerce Committee markup last week regarding the futility of passing a bill that will not pass the Senate and would be vetoed by the president if it were, instead of working on bipartisan legislation, such as the three net neutrality bills offered by Republican members of the committee. They also criticized the bill for not addressing edge providers. Democrats, meanwhile, repeated their arguments from the committee markup that the public supports open Internet protections.